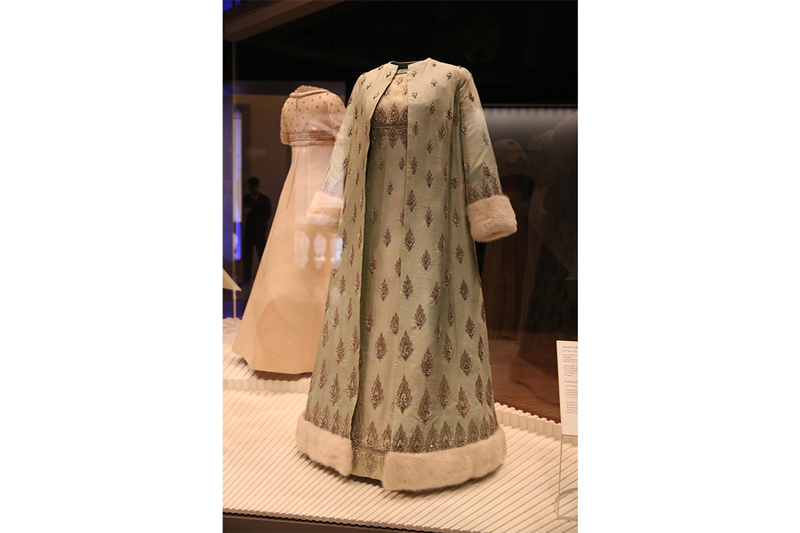 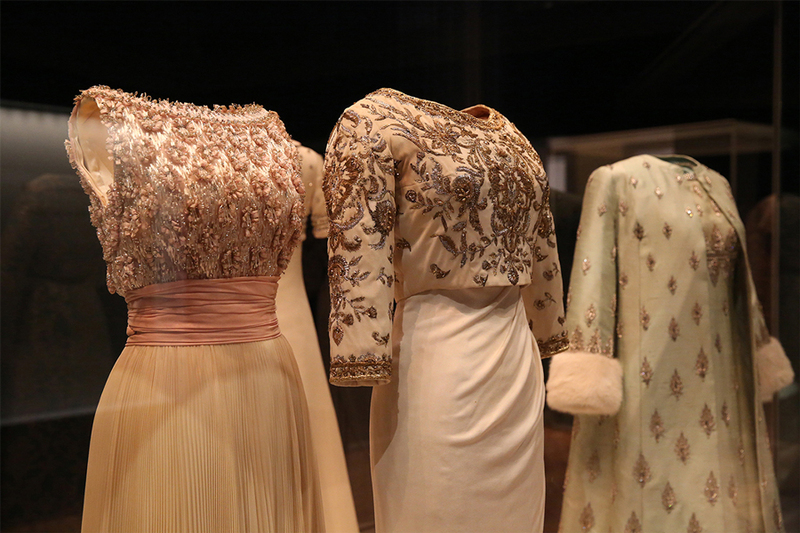 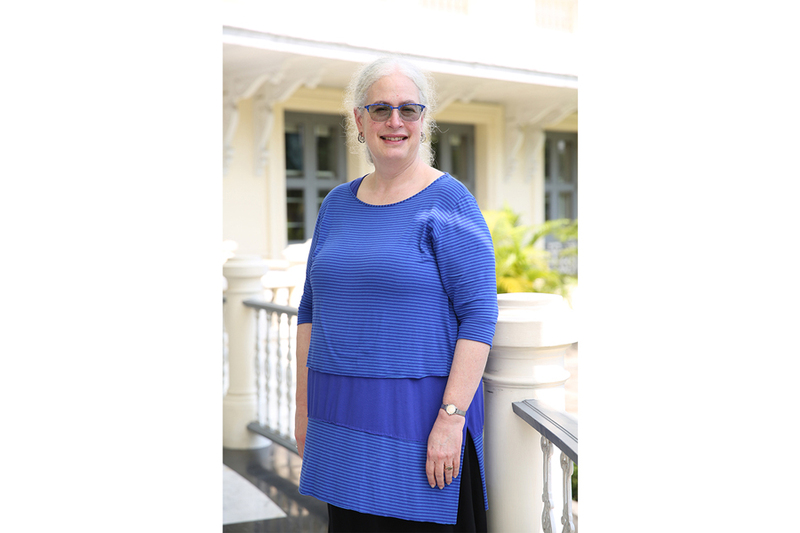 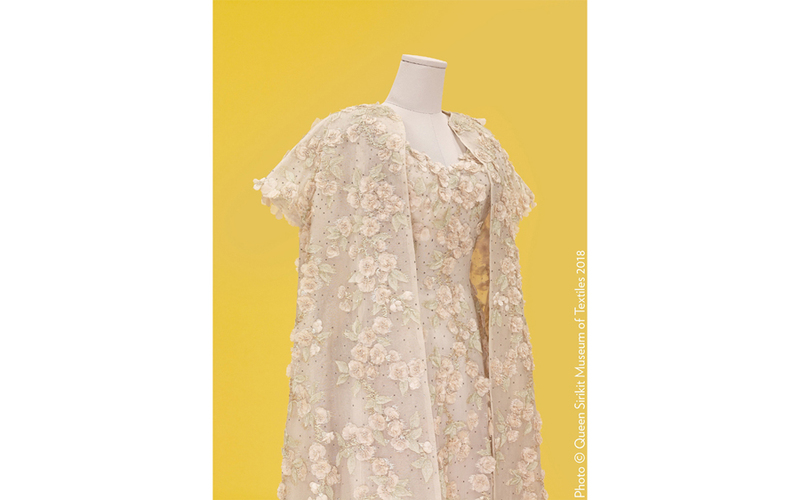 Learn about the creation of Her Majesty Queen Sirikit’s Western wardrobe and the dresses Her Majesty wore on Their Majesties’ state visits to Europe and the United States in the 1960 at the Queen Sirikit Museum of Textiles (QSMT). 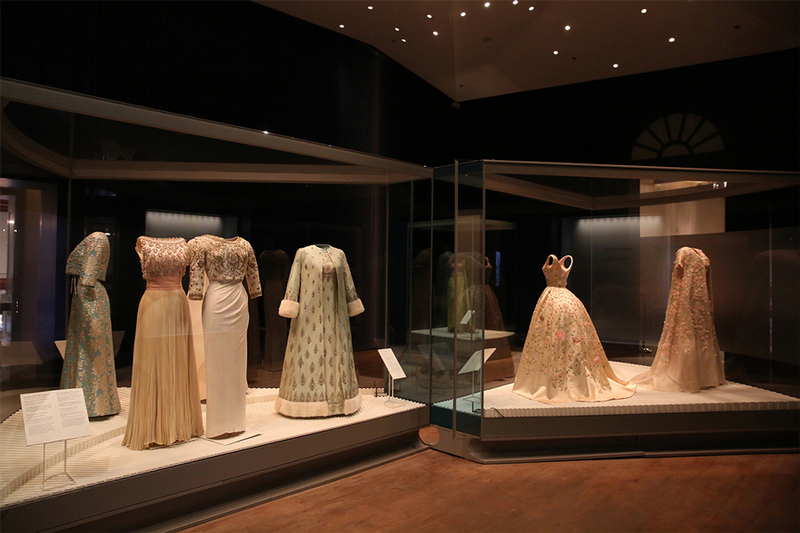 The Queen Sirikit Museum of Textiles has held a talk “Fit For a Queen: Creating Her Majesty Queen Sirikit’s Western Wardrobe” in conjunction with a new display of nine of Her Majesty’s evening dresses from the 1960s just installed in the Fit For a Queen: Her Majesty Queen Sirikit’s Creations by Balmain exhibition. 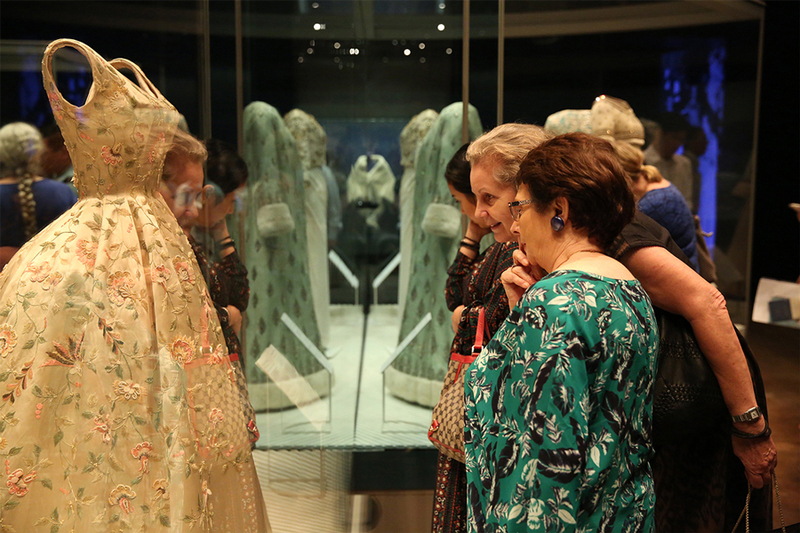 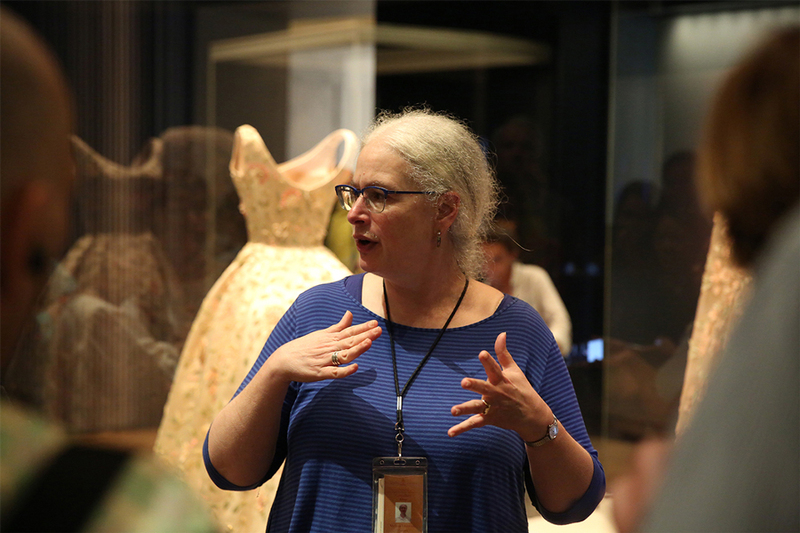 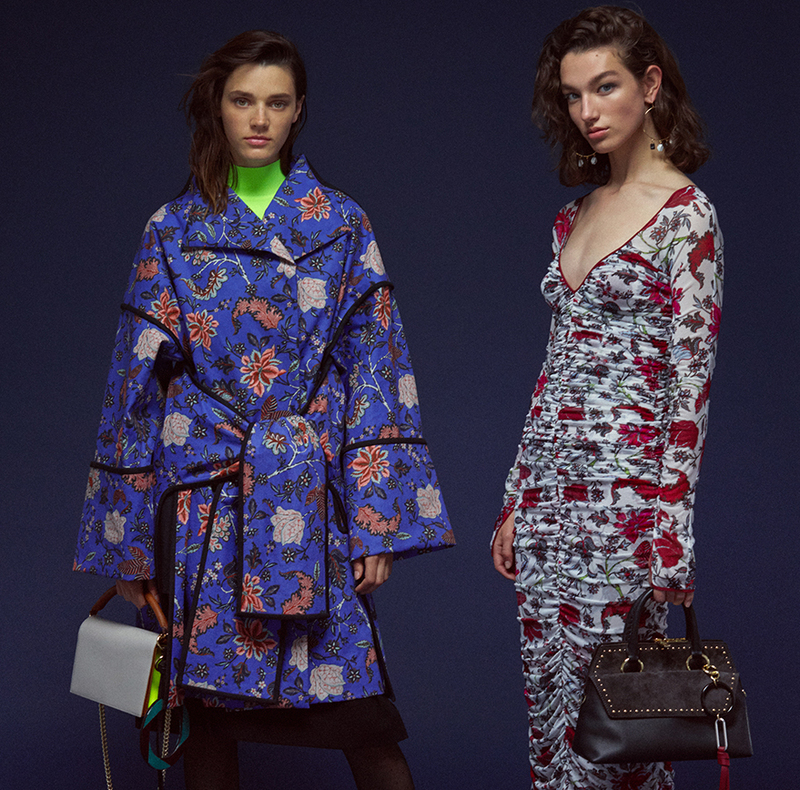 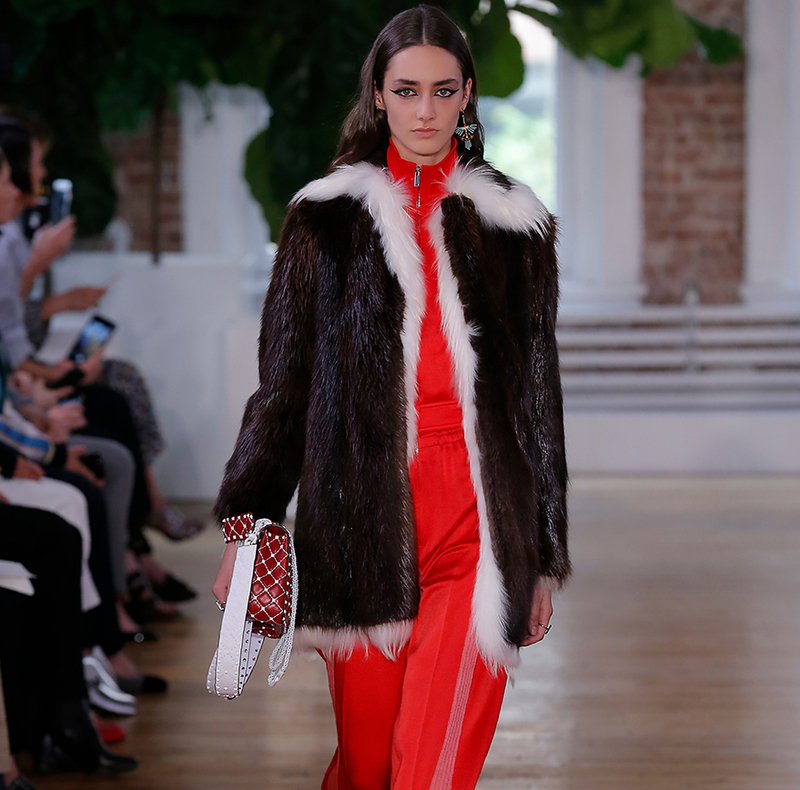 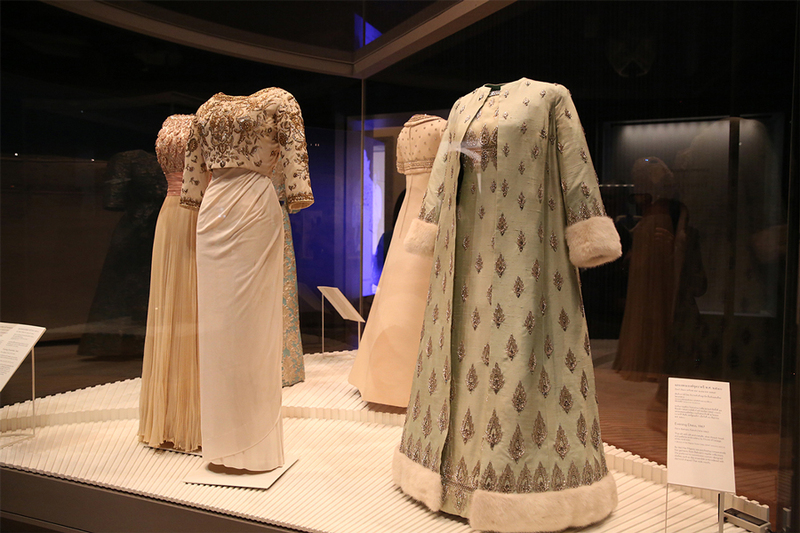 This was the public’s first opportunity to see these beautiful dresses, which have never before been exhibited. 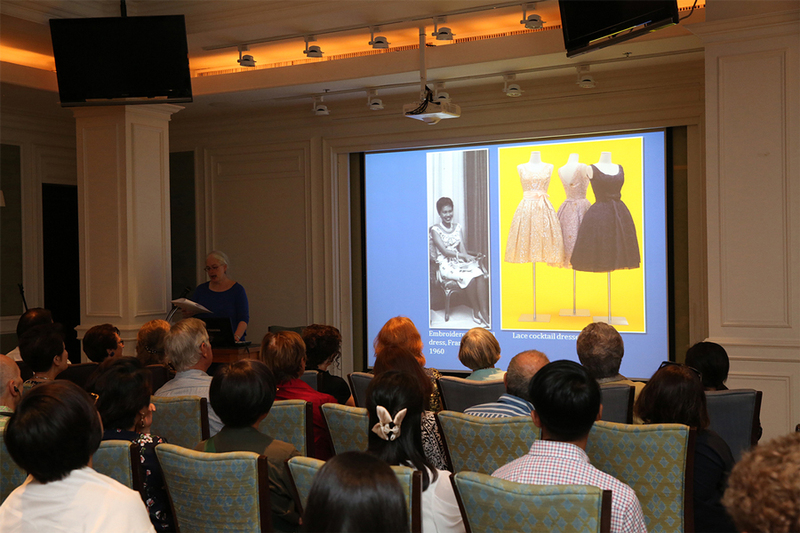 The talk was hosted by co-curators Melissa Leventon and Alisa Saisavetvaree. 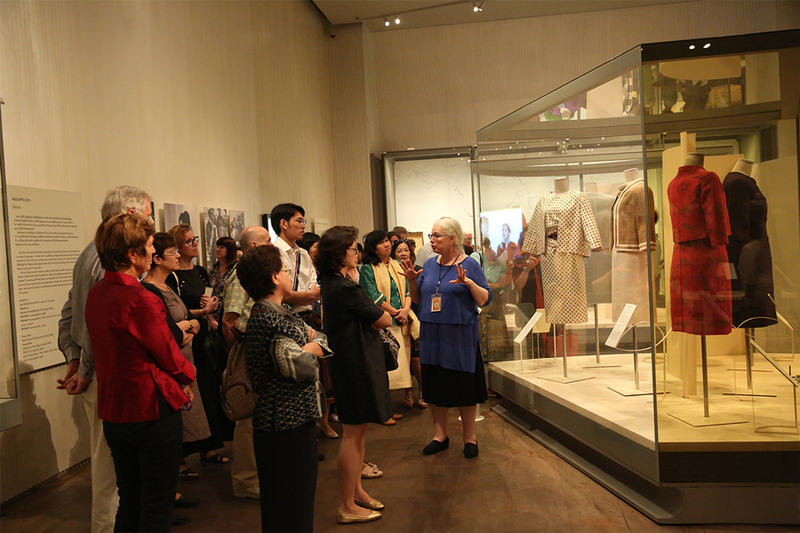 The two also led curator-led exhibition tour immediately after the lecture. 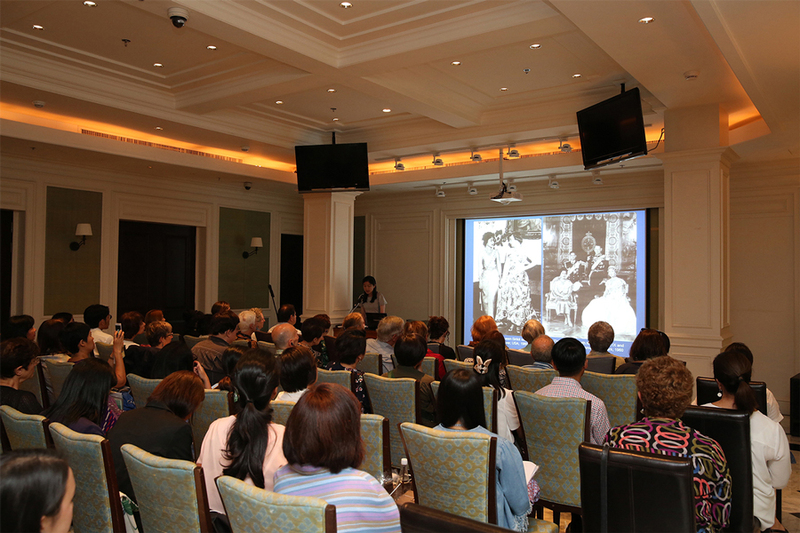 The program was held on Thursday 18 January in the auditorium at the Queen Sirikit Museum of Textiles, Grand Palace. 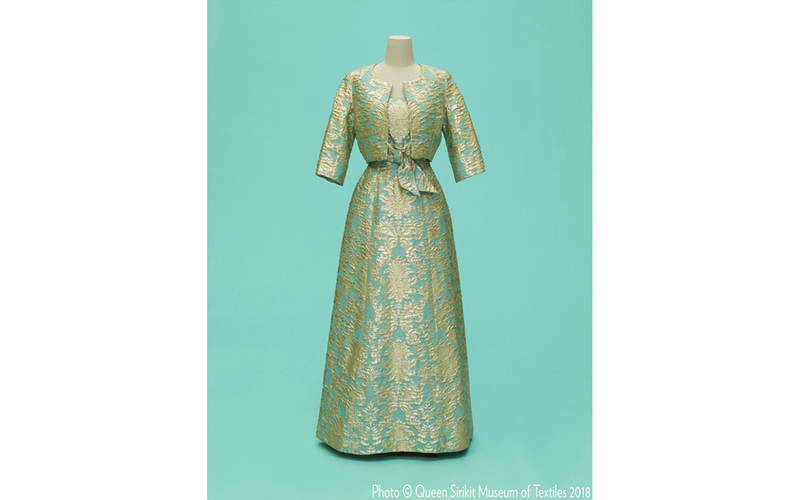 The Queen Sirikit Museum of Textiles first opened Fit For a Queen in honor of the auspicious occasion of Her Majesty Queen Sirikit's 7th cycle birthday anniversary on August 12, 2016. 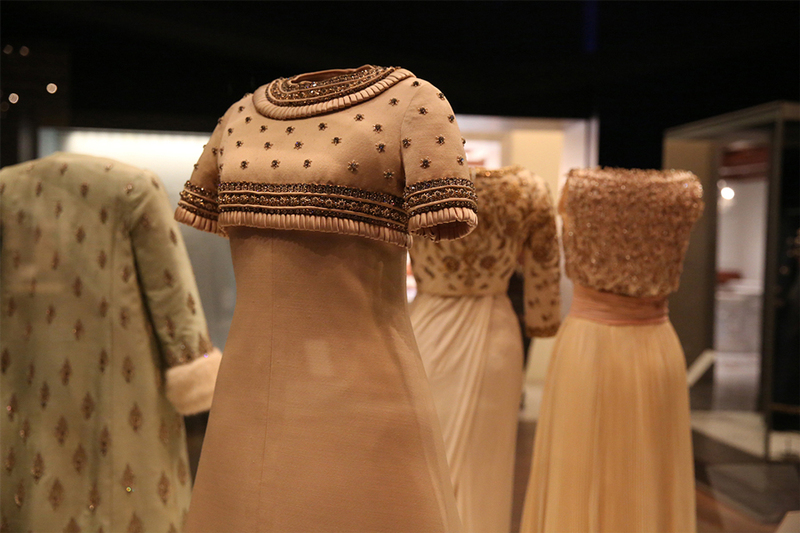 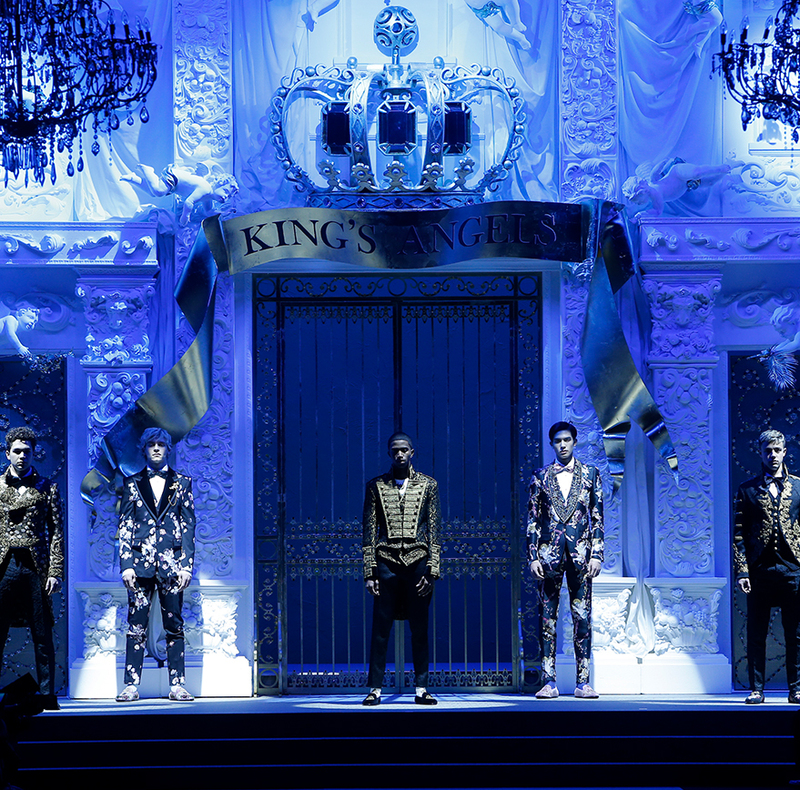 The exhibition which showcases more than 30 daytime and evening ensembles belonging to Her Majesty the Queen, designed by Her Majesty’s longtime couturier, Pierre Balmain, who played an important role in promoting Thai textiles internationally. 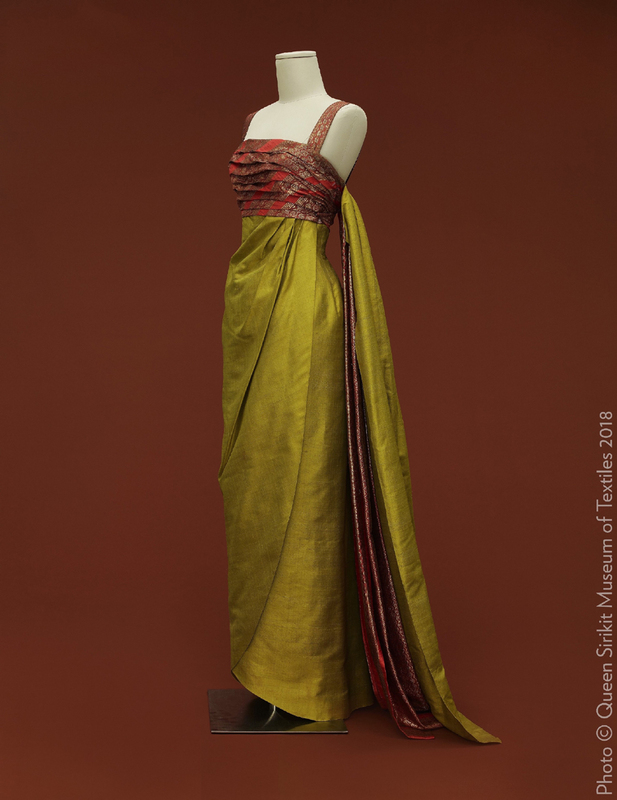 A silk satin evening dress with bead, braid, paillette and gold metal coil embroidery by House of Lesage, worn by Her Majesty on July 21, 1960 to a state dinner at Lancaster House in London hosted by Minister of State for Foreign Affairs Selwyn Lloyd on behalf of the British Government; and on September 28, 1960 to a state dinner hosted by the Italian President at the Quirinal Palace in Rome, Italy. 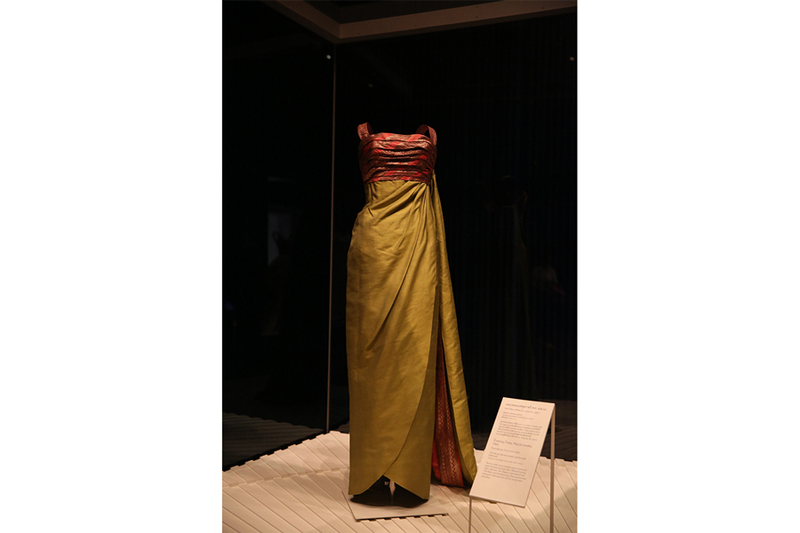 An evening gown, entitled Nuit à Londres, made of Thai silk and metallic gold brocade (phaa yok) worn to a state dinner hosted for President Diosdado Pangan Macapagal and the First Lady at the American Philippines Insurance Building in the Philippines on July 13, 1960. 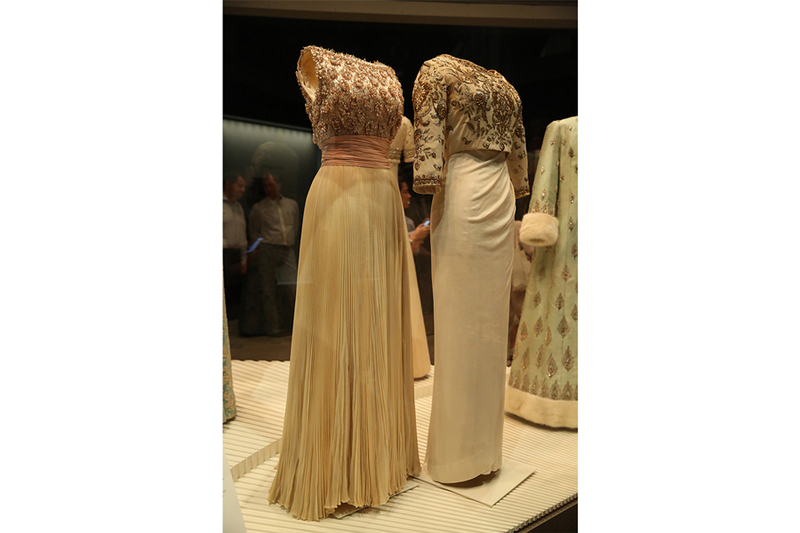 Her Majesty Queen Sirikit, widely acknowledged for her beauty and style, was voted onto the International Best Dressed List in 1960, an honourthat was renewed several times. 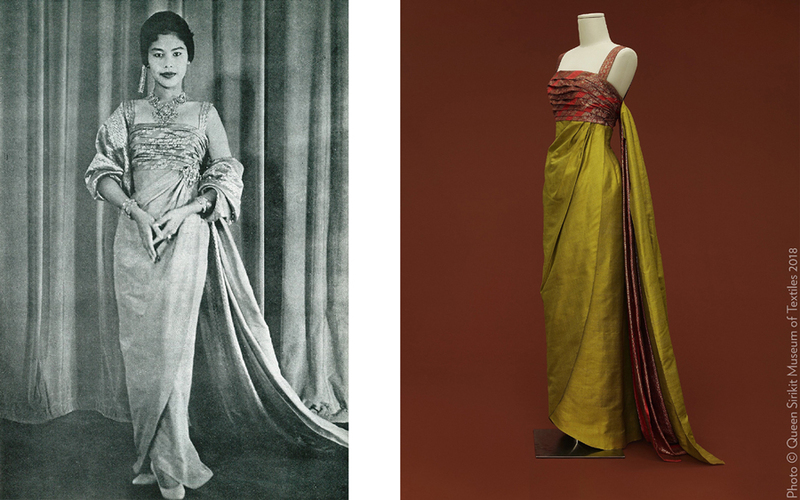 In 1965, she was elevated to the International Best-Dressed Hall of Fame, bringing joy and pride to the people of Thailand. 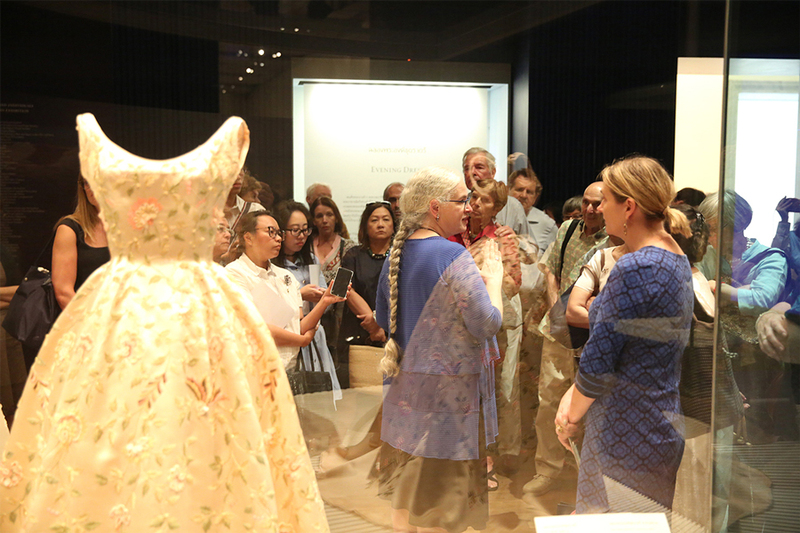 The Fit For a Queen exhibition is open daily from January 19, 2018 onward from 9am-4:30pm in Galleries 1-2, Queen Sirikit Museum of Textiles, Grand Palace. 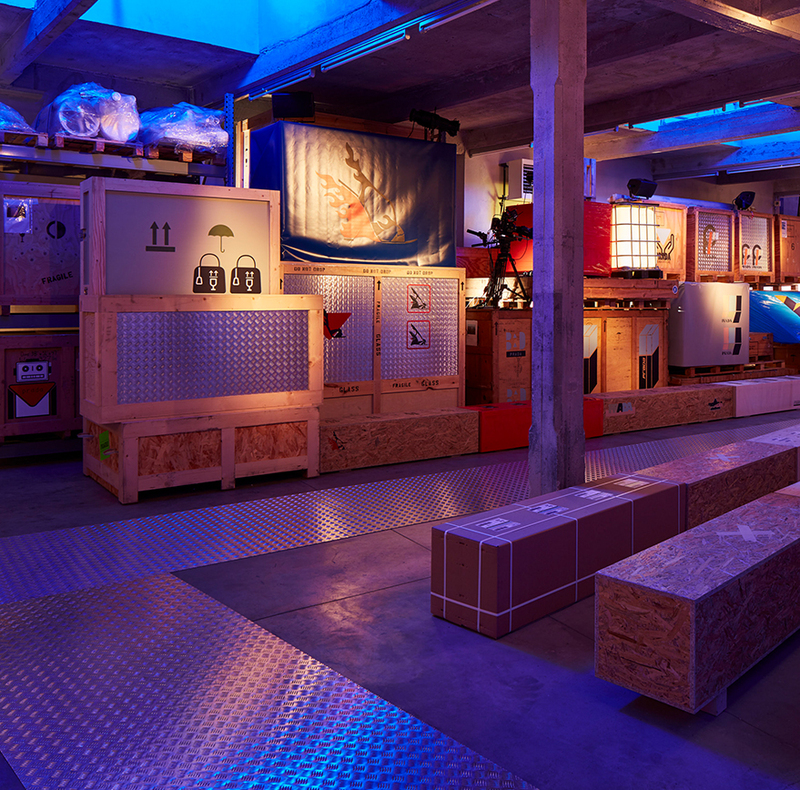 Ticket booth closes at 3:30 pm. 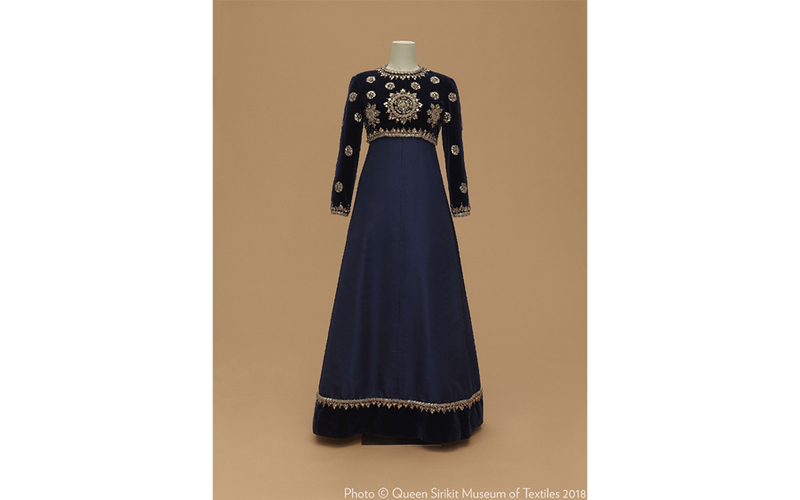 Stay tuned for upcoming activities and find out more on Facebook at www.facebook.com/qsmtthailand and on Instagram at @queensirikitmuseumoftextiles. 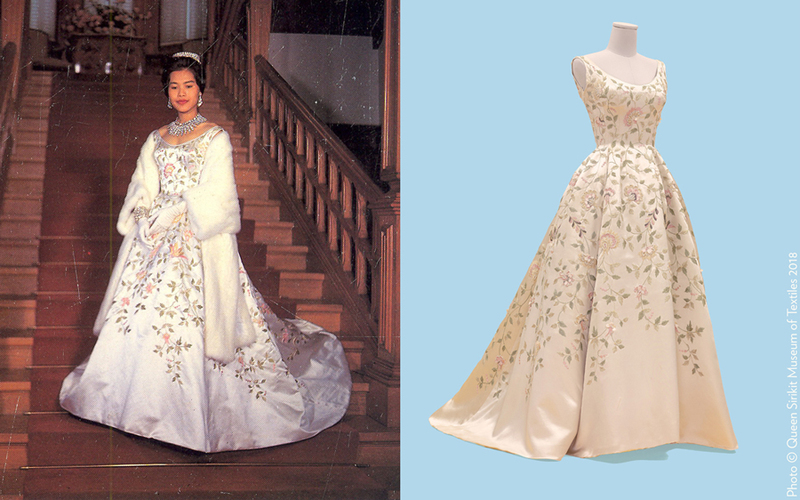 Her Majesty Queen Sirikit wore a silk satin evening dress with bead, braid, paillette and gold metal coil embroidery by House of Lesage. 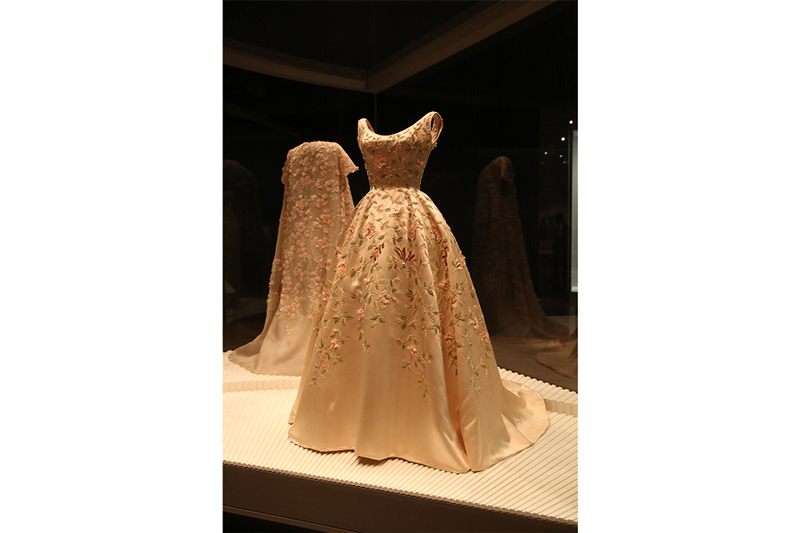 Her Majesty Queen Sirikit wore an evening gown titled "Nuit à Londres" made with Thai silk and metallic gold brocade (phaa yok). 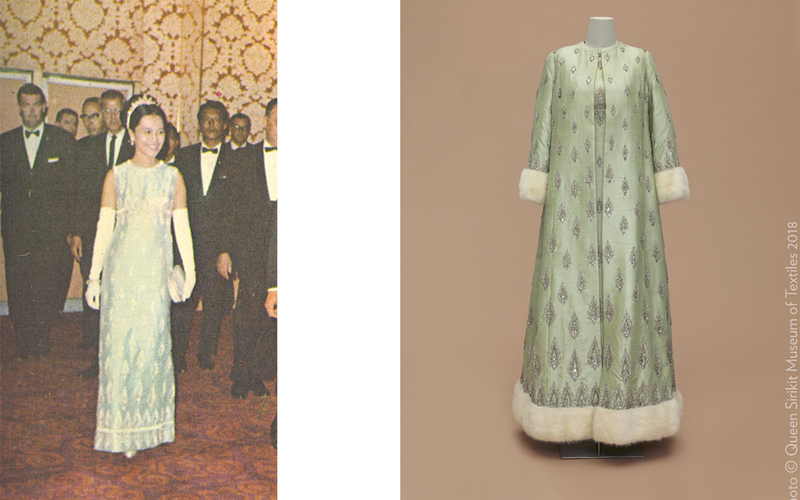 Her Majesty Queen Sirikit wore an evening gown made with Thai silk, and metallic silver thread, bead, and paillette embroidery by House of Lesage, white mink trim. 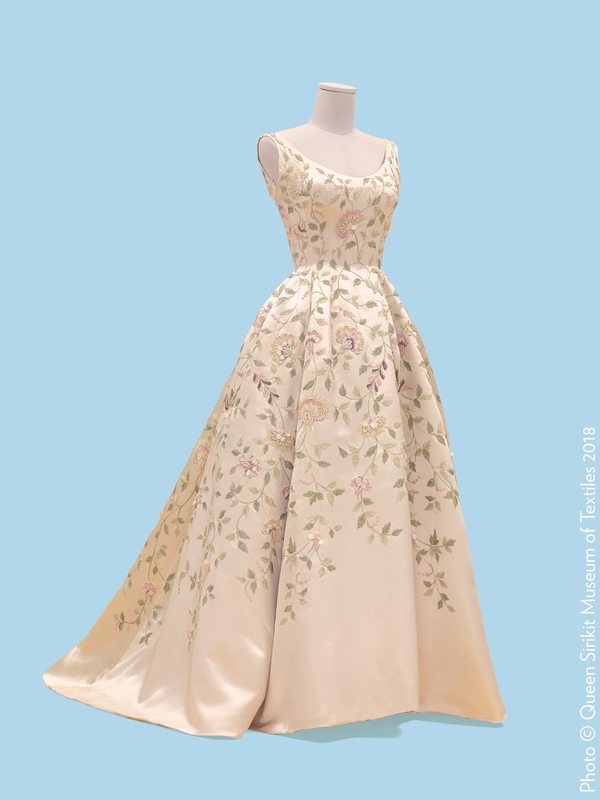 An evening dress belongs to Her Majesty Queen Sirikit made with silk organza with silk thread, bead, and sequin embroidery and organza appliqué by House of Lesage. 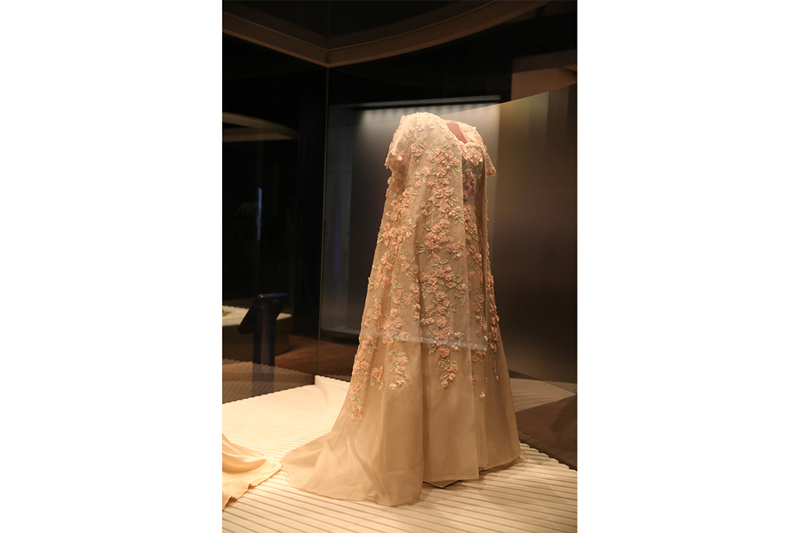 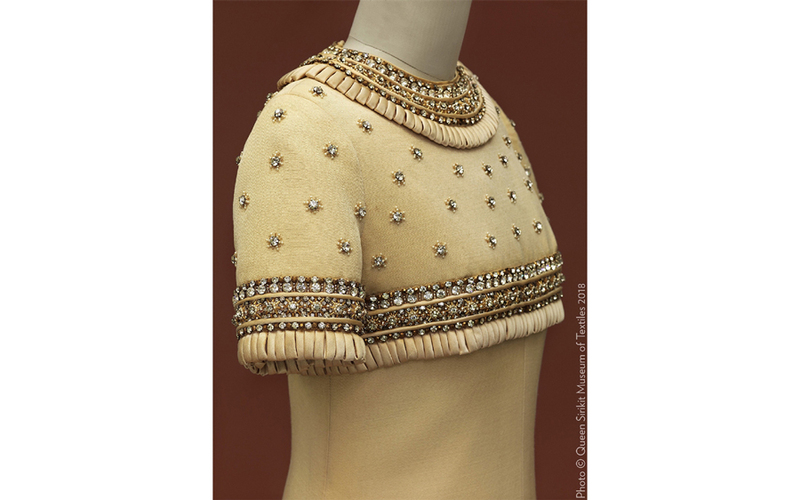 An evening dress belongs to Her Majesty Queen Sirikit made with white silk jersey with metallic gold and silver thread, sequin, and bead embroidery by House of Lesage. 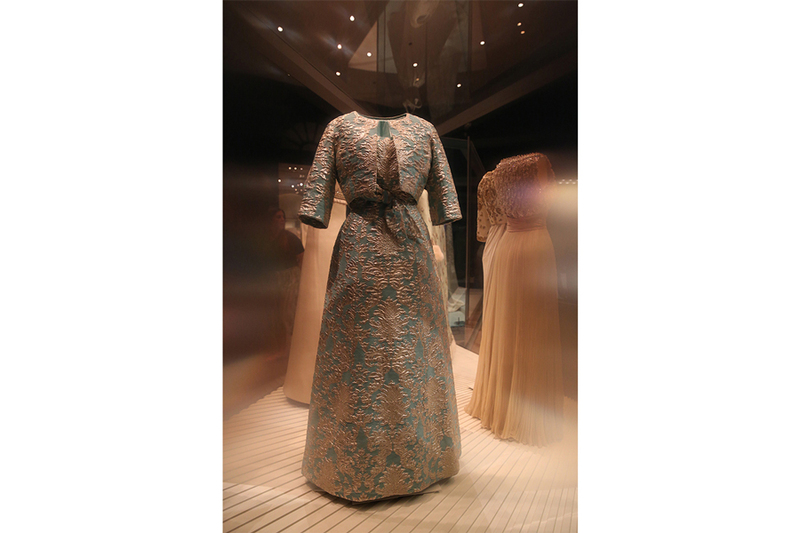 An evening dress belongs to Her Majesty Queen Sirikit made with silk and metallic silver brocatelle. 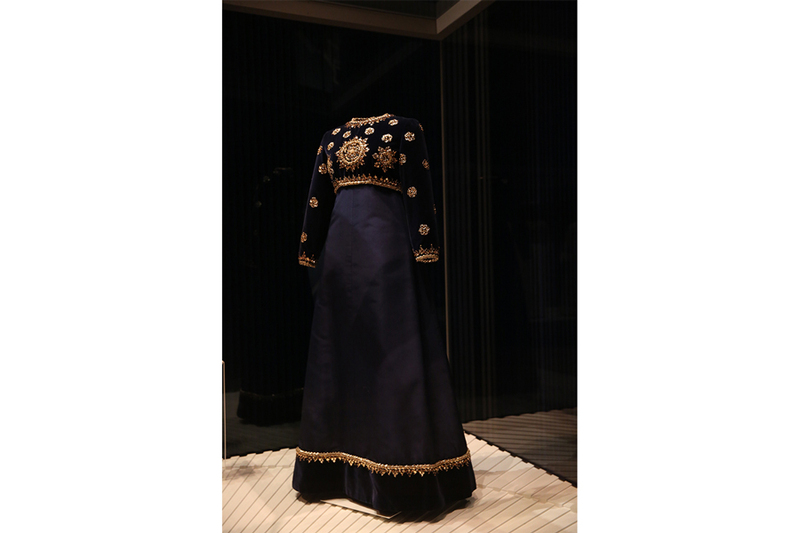 An evening dress belongs to Her Majesty Queen Sirikit made with silk velvet and faille with metallic gold thread, bead, and paillette embroidery by House of Lesage. 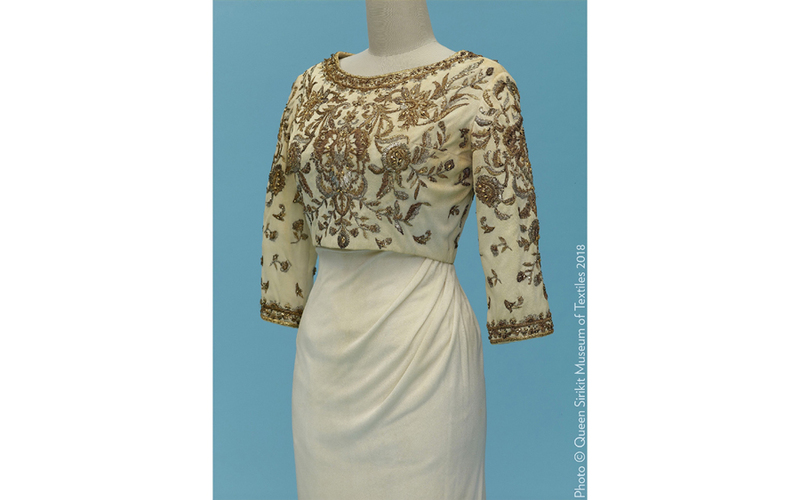 An evening dress belongs to Her Majesty Queen Sirikit made with cream wool and silk alaskine. 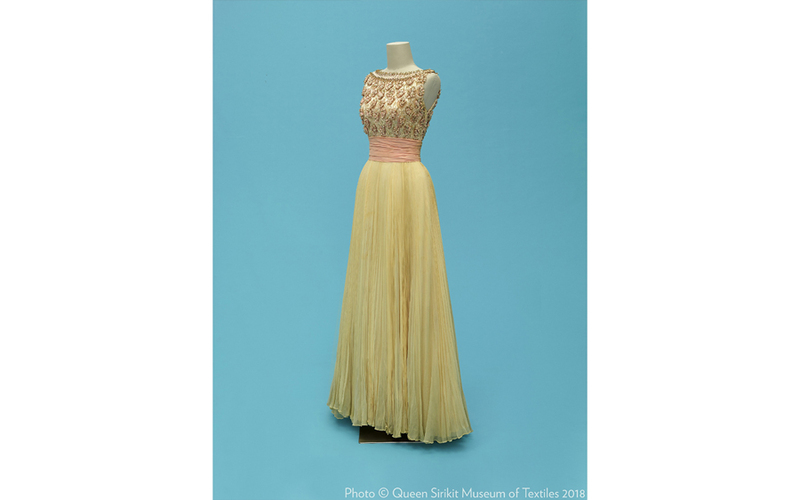 An evening dress belongs to Her Majesty Queen Sirikit made with silk chiffon, georgette, china silk, and net with silk and metallic gold thread, bead, and synthetic straw and strip embroidery by House of Lesage. 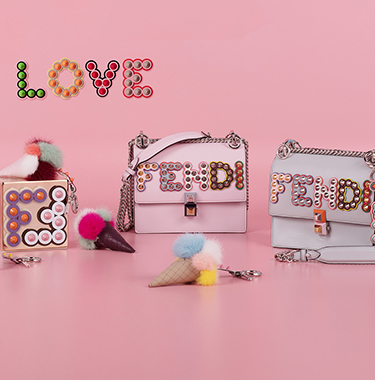 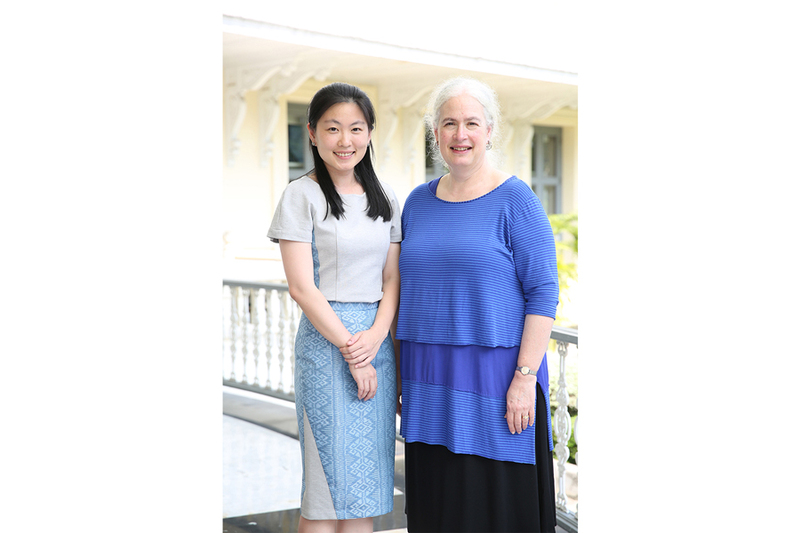 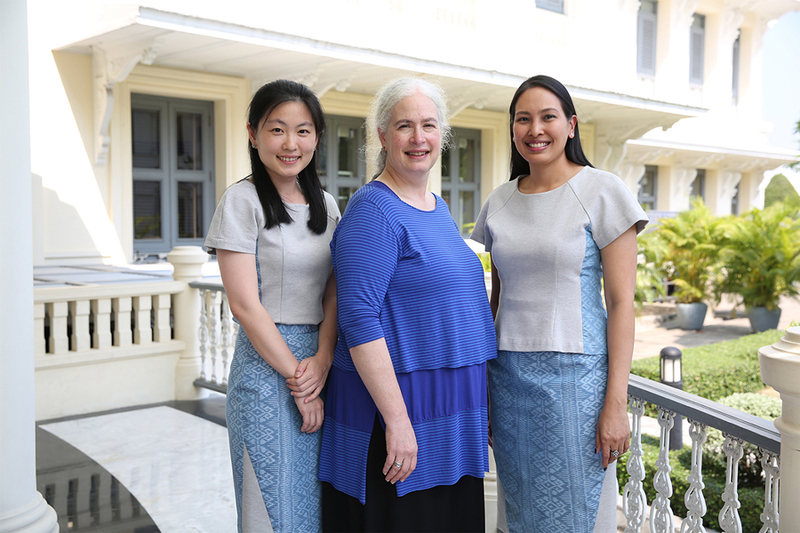 ฉลองพระองค์ชุดราตรีของสมเด็จพระนางเจ้าสิริกิติ์ พระบรมราชินีนาถ ๙ องค์ ที่เปลี่ยนใหม่ในห้องนิทรรศการ "งามสมบรมราชินีนาถ"
The foundation of Prada - its emblematic heritage, its soul. 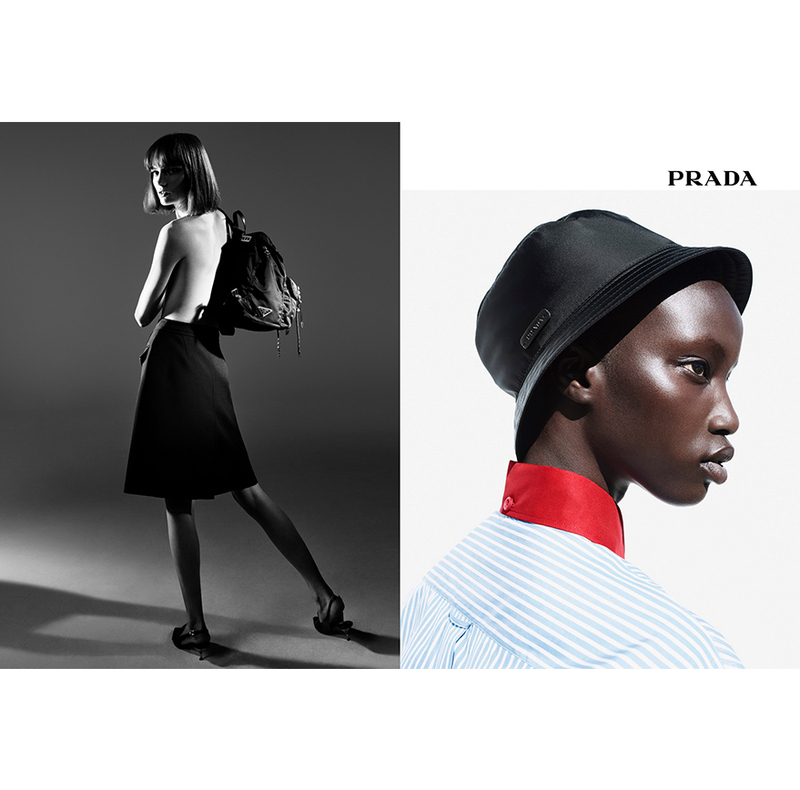 Black nylon, an industrial material elevated to luxury, inspires both the spring/summer 2018 collection and its reflection in the next step of the Prada 365 campaign. 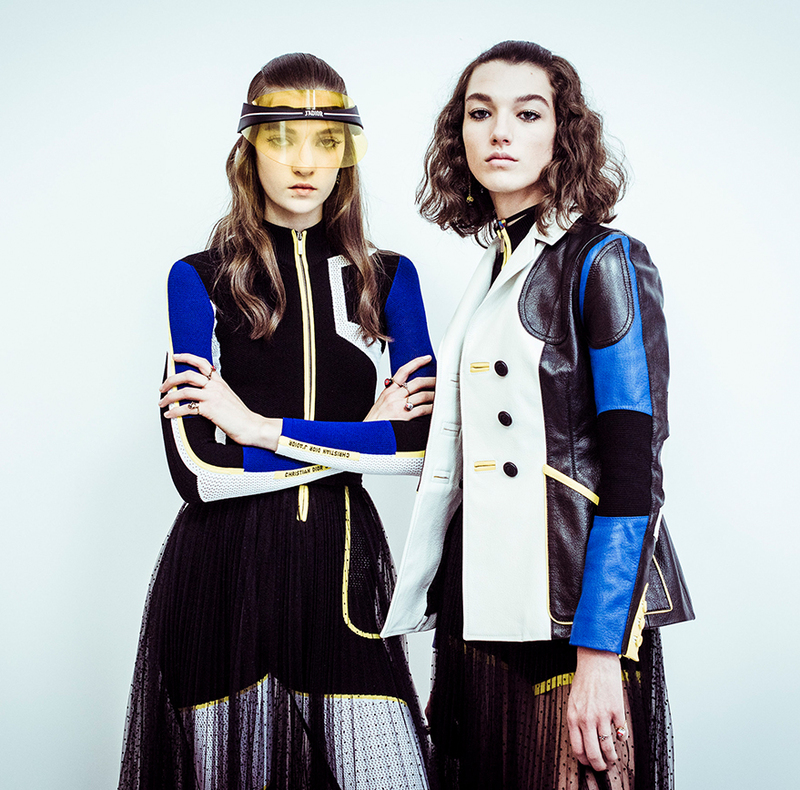 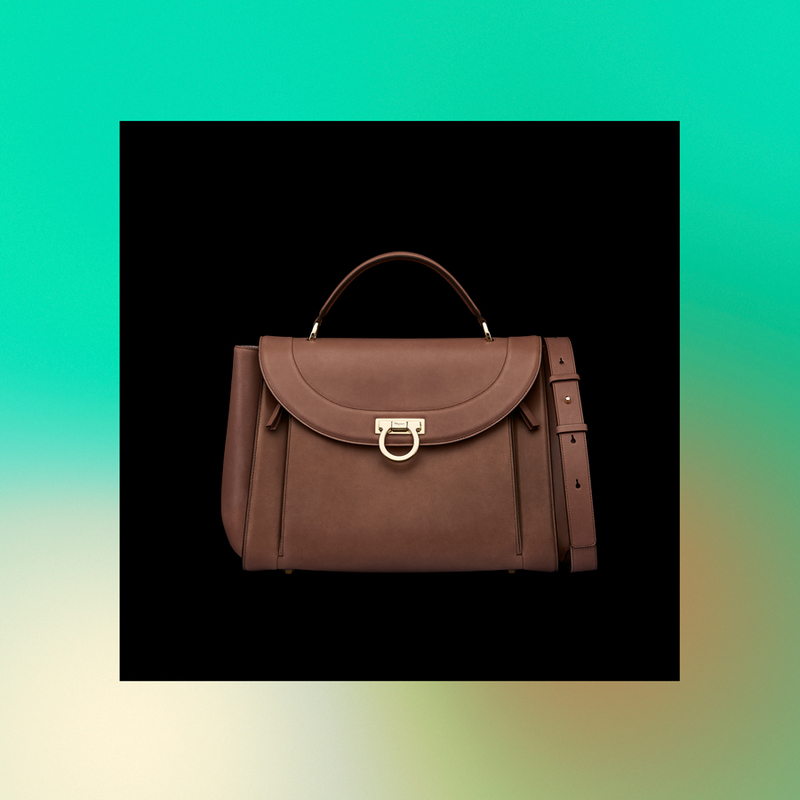 Identity is a construction in progress, that with dialogue expands, evolves and forms. 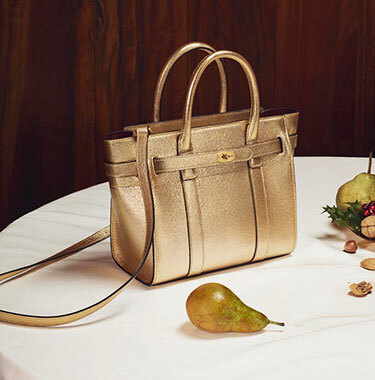 Looking to the street, with a clear eye and with a romantic soul. 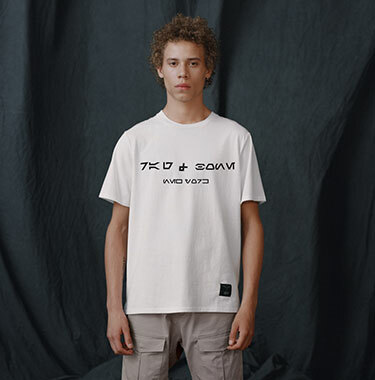 Submerging in diversity and reaching it in the epicenter where other form of expressions arise. 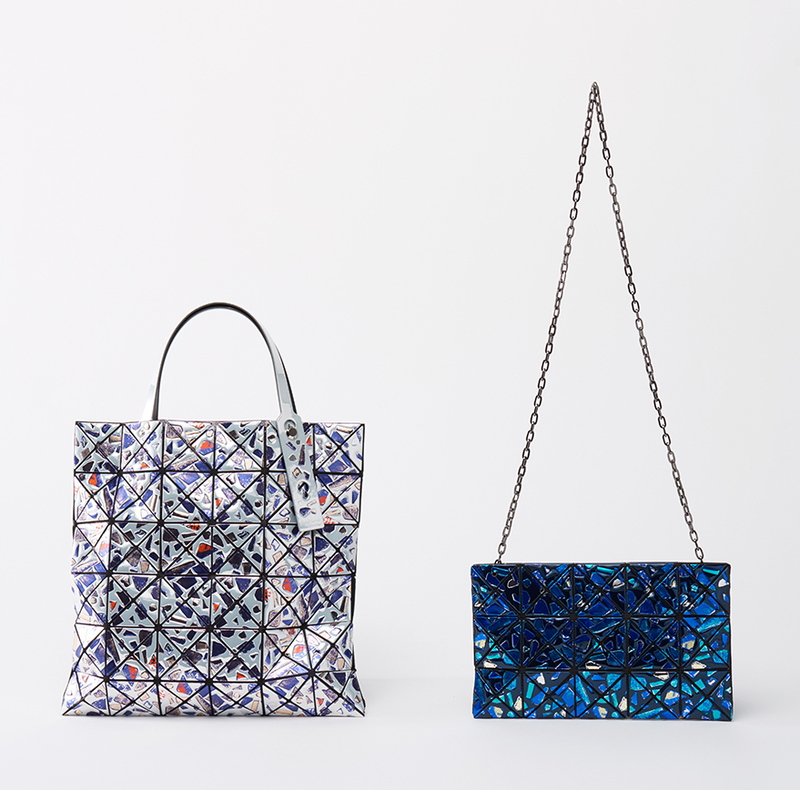 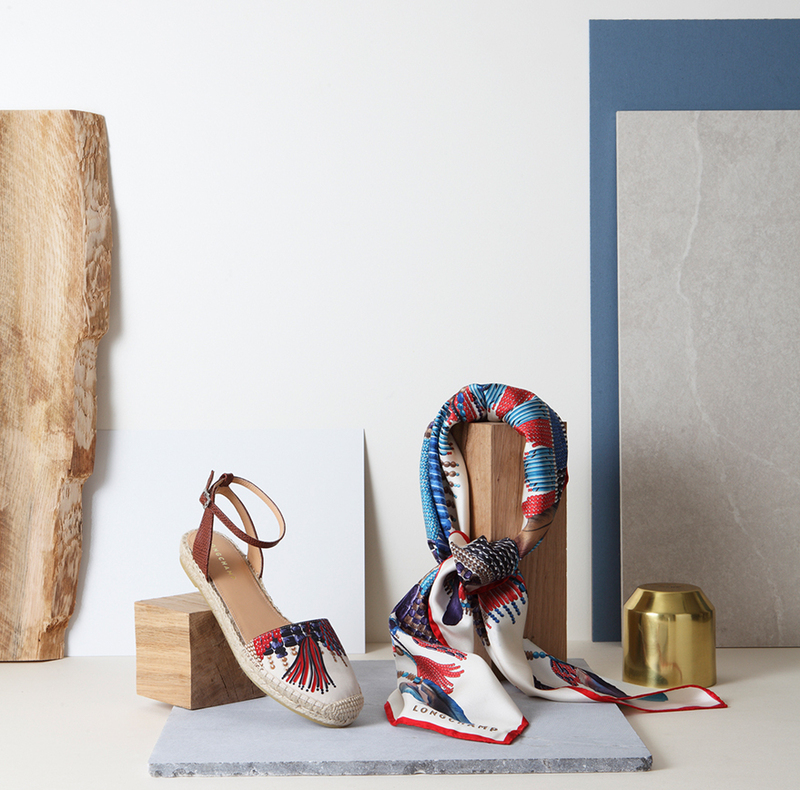 In places of urban metamorphosis.